Relocation can be very stressful regardless of where you are moving from or your family circumstances. At QRC we can provide a wealth of information and hands-on assistance to facilitate the settling-in process for our clients, as well as detailed information packs both pre and post-arrival. 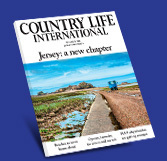 As a team we pride ourselves on providing relevant, impartial information for your new life in Jersey. If we don’t have the answer its likely we will know someone who does, there is not much we have not been asked as part of relocating to the islands and so we are not shocked easily and if it’s a client concern we want to find a way to deal with it as quickly as possible.